Laura is a Partner in the executive search practice of KBRS and provides counsel and strategic advice on diversity, equity, and inclusion issues as the firms’ Diversity & Inclusion Lead. 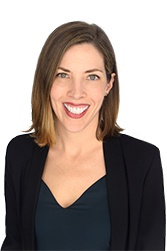 With a background in the academic sector, Laura’s finely-honed research skills and ability to communicate effectively with diverse stakeholders has allowed her to serve as a trusted search partner to organizations and institutions across the country as they seek assistance with hard-to-fill leadership roles. While Laura works broadly across the public sector, she specializes in the recruitment of leaders in the academic, non-profit, and government sectors and leads the firms’ rapidly growing Specialized Faculty and Research Chair Practice, partnering with academic institutions to fill highly specialized technical and research-oriented roles. Prior to joining KBRS, Laura held both research and teaching positions at post-secondary institutions across Ontario and served in acquisitions and editorial positions at an academic publishing firm, where she led editorial strategy and developed national networks and partnerships with scholars across the academic sector. Laura volunteers with the Halifax Partnership as a Connector, helping local businesses and organizations connect with immigrants, international students, and recent local and international graduates and as a Practice Interviewer with the Immigrant Services Association of Nova Scotia. Laura is a Canadian Certified Inclusion Professional™ through the Canadian Centre for Diversity and Inclusion. She received her Master’s and PhD from York University where she was the recipient of several prominent awards including a Social Science and Humanities Research Fellowship for her research into historical issues of equity, gender, and race. Her academic training in these areas continues to inform and inspire her belief in the value of a diverse and inclusive work space. Laura resides in Halifax with her husband Matt and their daughters Willa and Eleanor.